With this workshop, entrepreneurs will get introduced to the Global Goals and have a chance to look at their business through a new lens. Welcome to the Social Impact Revolution Workshop filled with engaging and unique strategies to educate you on the United Nation's Sustainable Development Goals with the end purpose to open your mind to how you could apply these goals to your business. This workshop is targeted at entrepreneurs and early startups, but everyone could take something from it, so feel free to join! 1. Introduce the UN Global Goals. 2. Find which global goal ignites a spark in you. 3. View a goal through the lens of an entrepreneur. 4. Learn what the CYOMA Principles are about. 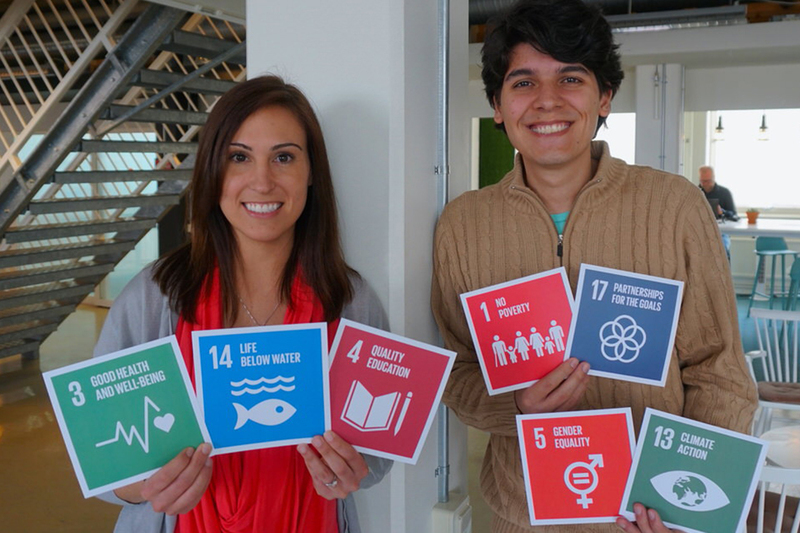 What are the Global Goals and why were they created? Remove your biases for five minutes. The challenge consists in drafting a plan to create your own mystery adventure following the CYOMA Principles. Bio: A Certified teacher from the USA with 9 years of experience and a masters degree in instructional design and technology. Bio: Colombian lawyer convinced that education is the best tool for exponential social impact.